Audiences can come and go but a work is always there to be enjoyed. Sometimes, a work can be, as they say, ahead of its time and thus miss its audience. 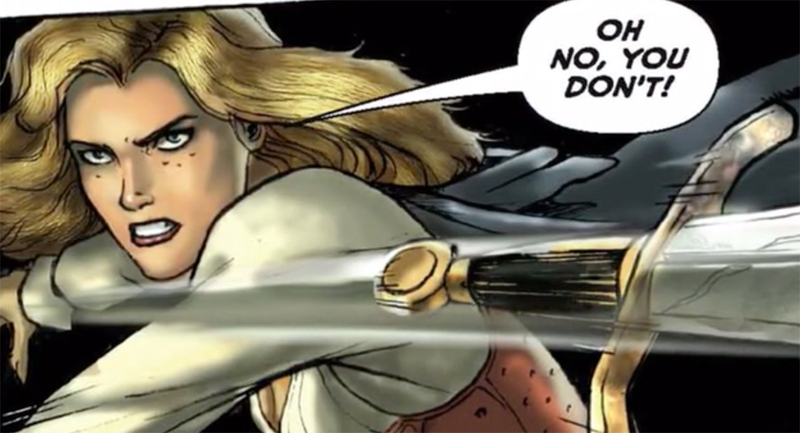 Such is the case with the exceptionally quirky and quite impressive time travel tour de force comic, Aztec Ace. What exactly goes on here? you may ask. Well, if you’re a time travel fan, this story hits plenty of the sweet spots: a dynamic main character on a mission; a plausible cat and mouse framework; and dazzling displays of messing with the time space continuum. That’s it in nutshell. More details follow. Aztec Ace was indeed a time travel comic ahead of its time. Now, thanks to IT’S ALIVE Press, this gem from the ’80s is getting the deluxe treatment it deserves. Head over to the Kickstarter campaign (ends June 29) to make this happen right here. Aztec Ace is a comic title formerly published by Eclipse Comics. 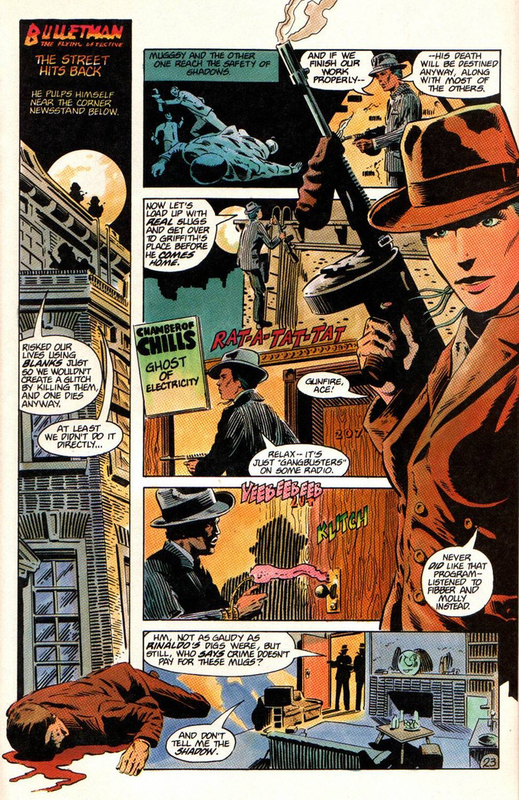 Originally written by Doug Moench and pencilled by Dan Day, 15 issues appeared from 1984 to 1985. 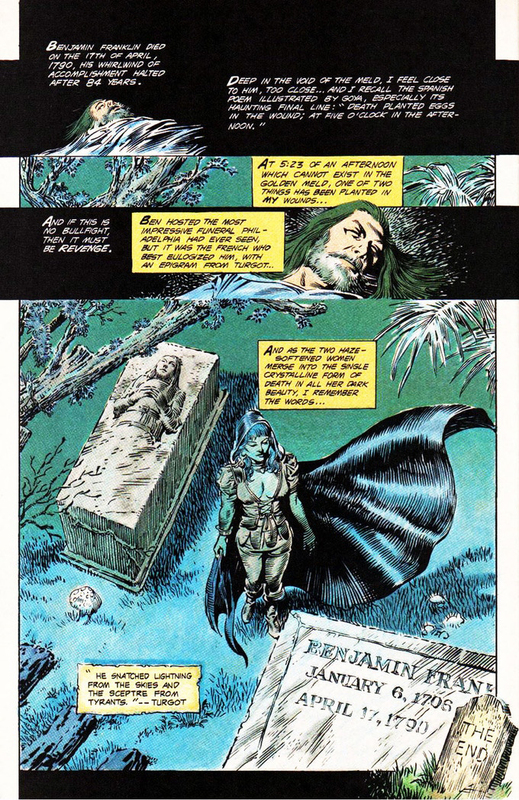 The characters reappeared in the 1988 Total Eclipse comic series. 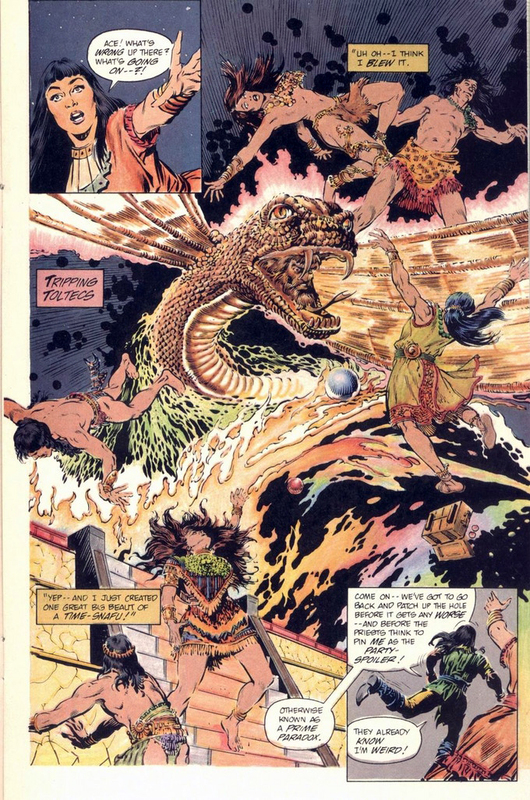 Other contributors to Aztec Ace were inker Nestor Redondo, inker Ron Harris, artist Mike Gustovich, artist Tom Yeates, colorist Philip DeWalt, colorist Steve Oliff, colorist Sam Parsons, letterer Carrie Spiegle, and Eclipse editor cat yronwode. 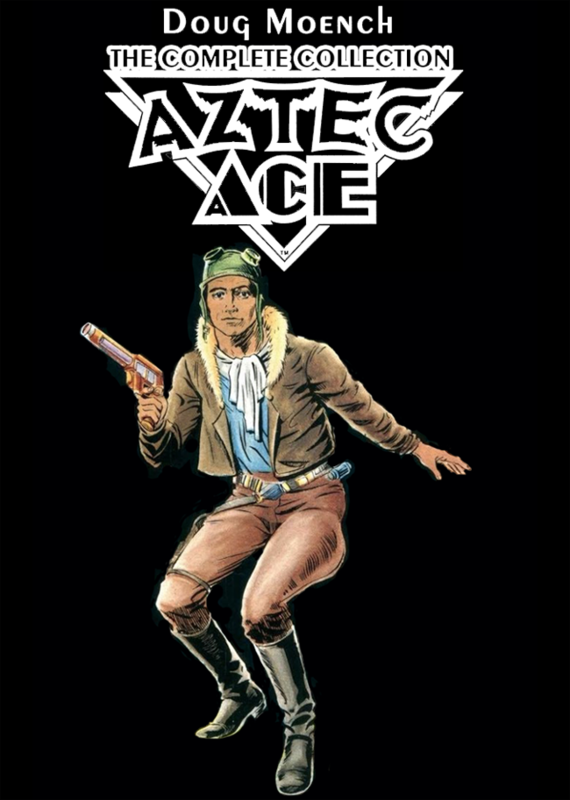 The Aztec Ace logo was created by Denis McFarling. The story revolves around a time traveller named Ace (real name: Caza), whose goal is to save the timestream from unraveling through various intricate adventures. Ace is from the 23rd Century, with his base in pre-contact Aztec Mexico; he often visits ancient Egypt. His main enemy is Nine-Crocodile, who creates time paradoxes in an attempt to save his own dimension at the expense of other realities, especially, the modern world as we know it. All or nothing. This project will only be funded if it reaches its goal by Fri, June 29, 2018 10:41 AM PDT. Characteristics of the series are time travel, the use of cultural icons such as political figures, historical situations, songs, and cult movies in unexpected situations, and philosophical musing. Historical renderings of ancient cultures were detailed and imaginative. Careful reading, broad knowledge, and patience were required of the reader, as well as some understanding of the ongoing storyline, all of which possibly prevented it from gathering a large following. Aztec Ace has never been reprinted or collected in any form. Aztec Ace has never been reprinted or collected in any form. 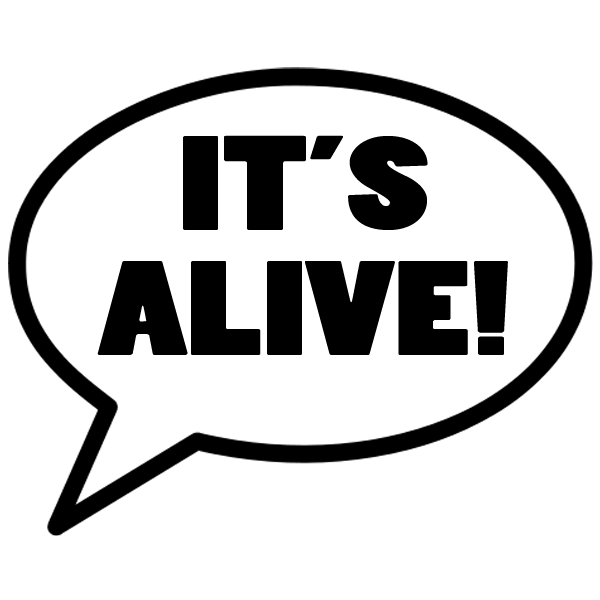 IT’S ALIVE Press is working directly with Doug to Kickstart this collection. Also, some comic book superstars have created exclusive Aztec Ace sketches, which will only be available through this campaign. There are sketches from Bill Sienkiewicz, Jeff Lemire, Kelley Jones, Paul Pope, Michael Avon Oeming, Matt Kindt, Michael Wm. 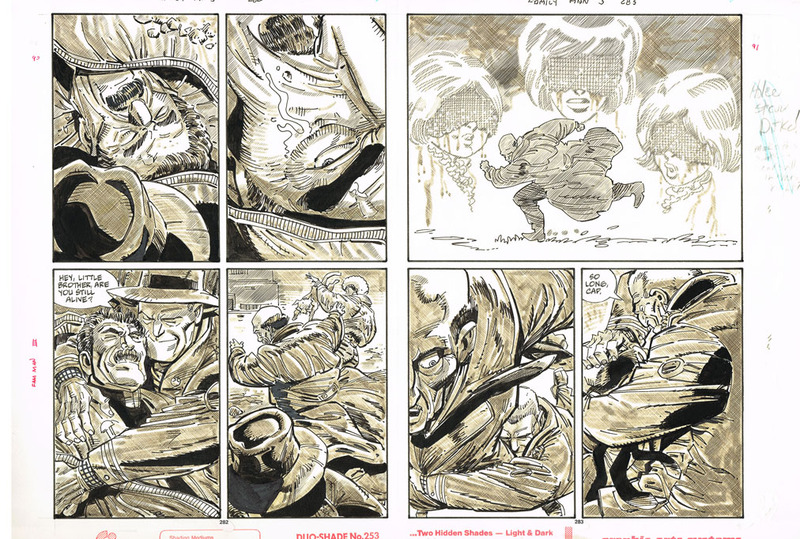 Kaluta, Joe Staton and more! 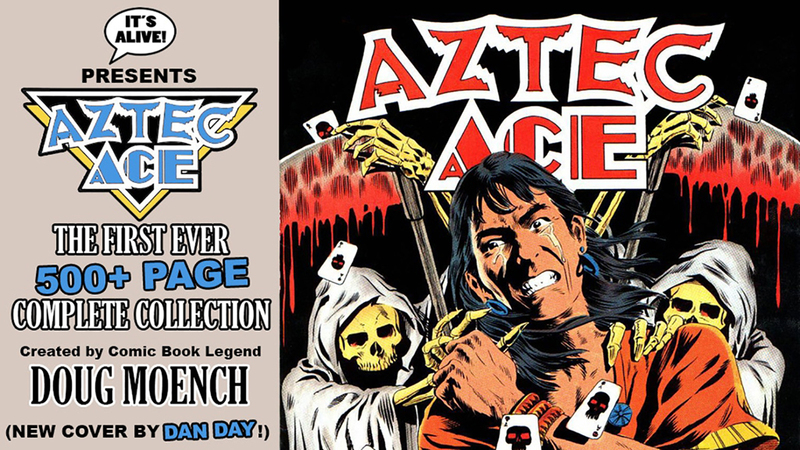 Aztec Ace has never before been reprinted or collected in any form. Support the Aztec Ace Kickstarter campaign right here! 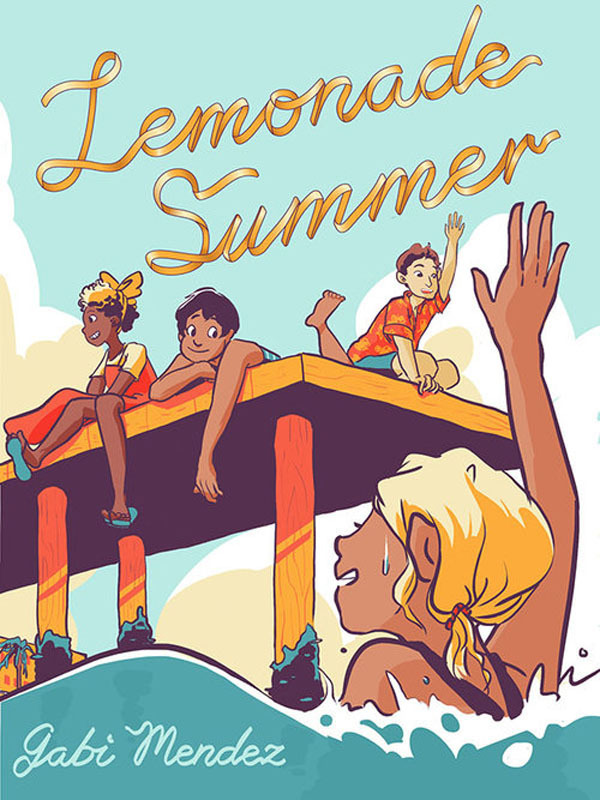 A Kickstarter campaign is running now and ending on April 7th in support of Lemonade Summer by Gabi Mendez. 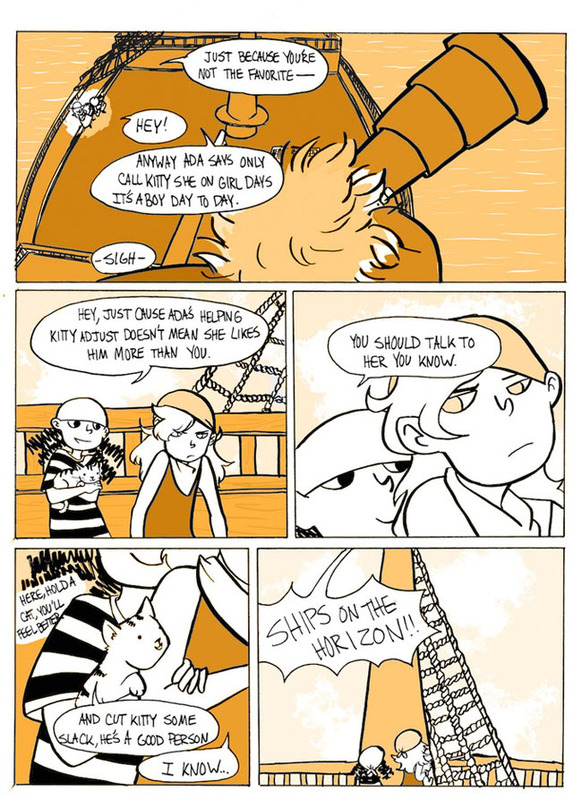 This is an all-ages graphic novel about queer children, adolescents, teens and young adults coming of age in positive environments and finding supportive communities. The book is 136 pages with full color covers and chapter covers. Each story is a monochromatic color scheme mirroring the sun from noon to dusk, reflecting the characters’ growth in the book. The stories feature young, queer characters who grapple with the conflicts of their own worlds. Support this Kickstarter campaign right HERE. This book is part of Cow House Press. Visit them right here. Jane is 16 years old and believes that she does not know how to live her life. We can all relate to that–but Jane’s world is far more complicated, set in the distant future where robots are capable of providing human companionship. 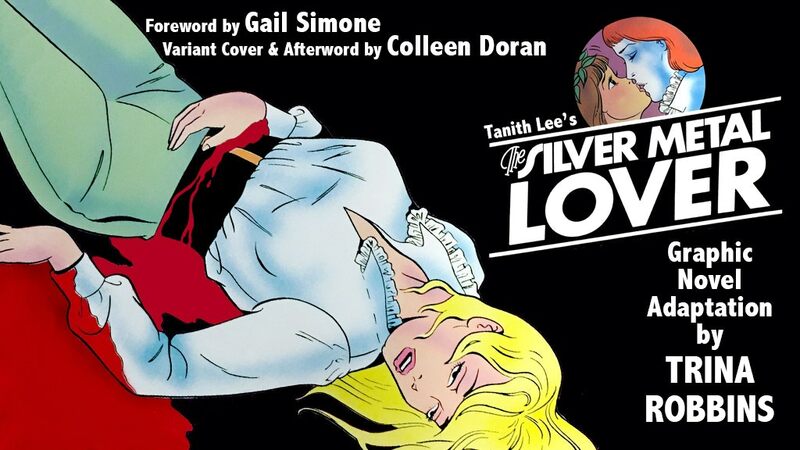 “The Silver Metal Lover,” the 1981 cult classic science fiction novel by Tanith Lee, was adapted in 1985 into the highly engaging graphic novel by Trina Robbins. It has never been reprinted in any form until now. Drew Ford runs his own imprint at IDW called IT’S ALIVE! and he has a stellar track record for finding gems from the past and giving them a whole new life. A Kickstarter campaign in support of an exciting new edition is reaching its final stages, closing January 5th. Check it out right here. This new edition will have a new cover and afterword by Colleen (A DISTANT SOIL) Doran, a new foreword by Gail (BIRDS OF PREY) Simone, and a new intro by Trina Robbins herself. All of this will be printed at 8.5″ x 11, full color, on glossy paper, all tucked inside a beautiful hard cover. 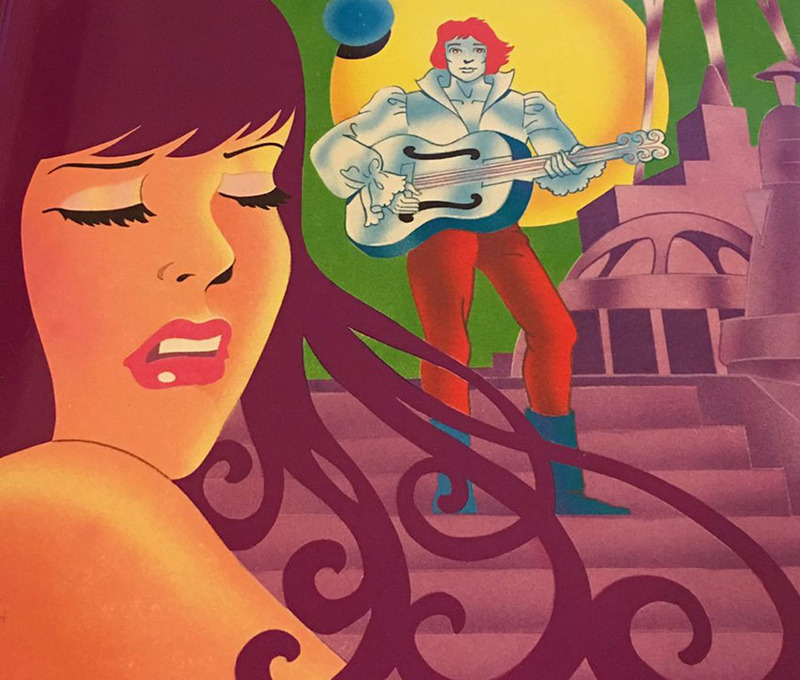 Many exciting rewards are being offered, including signed copies of the book, exclusive prints from Colleen Doran, sketches by comic book pros, and even original pages of comic book art by Trina Robbins! This is a book that is sure to please fans of science fiction and comics alike. Visit the campaign right here. 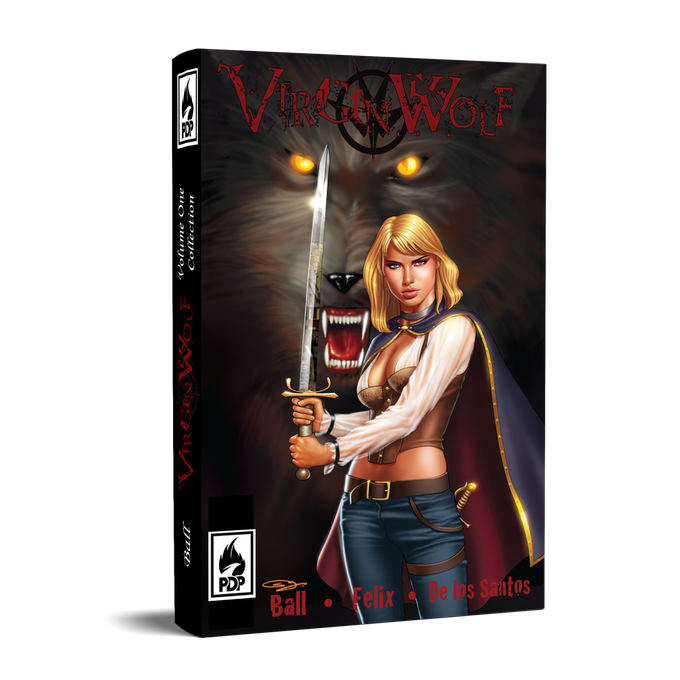 Kickstarter: VIRGIN WOLF Collection: The Hunt is Underway! Alverne Bell is a rising talent in comics, graphic novels, and prose fiction. He has proven himself many times over with such work as ONE NATION and VIRGIN WOLF. Now is a great opportunity to dive into the highly creative mind of Alverne Bell and experience a collection of his werewolf series, VIRGIN WOLF. A Kickstarter campaign is going on now, by July 15th, in support of collecting the first eight issues into trade paperback, hardcover, and PDF. To learn more, and join the campaign, go right here. A young woman and her Native American mentor are hunting the father of all werewolves in 1605 France! Virgin Wolf is the tale of a woman struggling to put an end to her nightmares. With the help of Hania, her Native American guide. She has tracked her prey to France. Though little does she know the extent they have gone to or will go to see the world dominated by the Wolfen. This book is the collection of the first 8 issues, plus a rarely seen in print prologue. The book totals 208 pages in full-color. Printed on a sturdy glossy paper it is available in both soft and hard bound. This is a werewolf tale like you’ve never read before. Among the wide array of comics that I look over on a daily basis, this one definitely has gotten my attention. The title, VIRGIN WOLF, sticks in my mind, and it does not matter whether or not there is any tangible connection in this comic to Virginia Woolf. Alverne Ball is an award-winning writer who has built an impressive career. He knows how to tell stories. He holds an MFA in Fiction Writing from Columbia College in Chicago, which includes a Semester in Los Angeles, an intensive program focusing on adaptation of material to the screen. 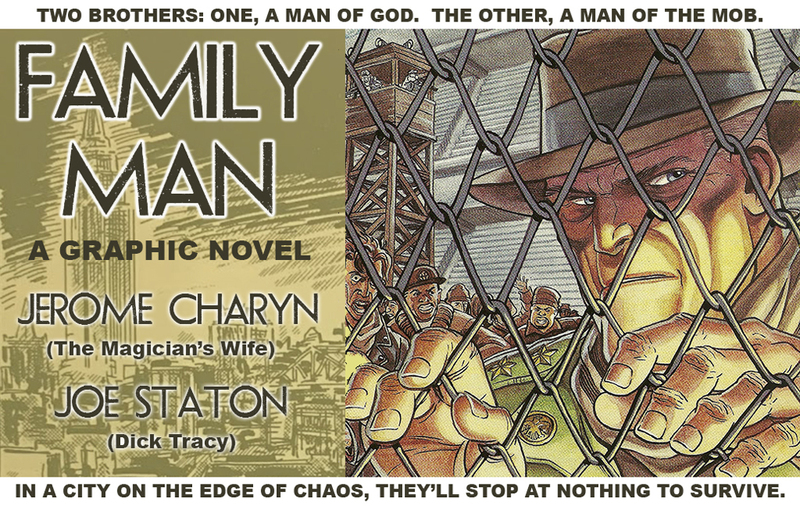 His writing runs the gamut from television and film to graphic novels and prose fiction. 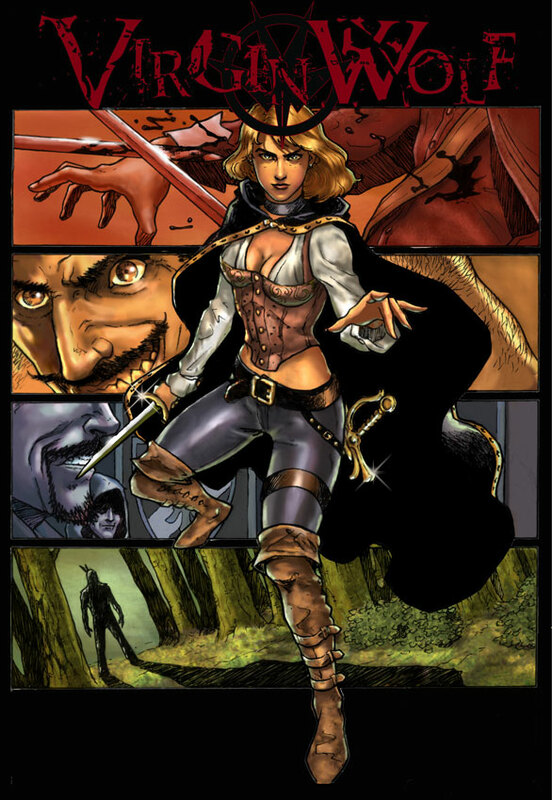 For VIRGIN WOLF, he has teamed up with Douglas Felix and Adriana de los Santos who both provide the artwork that makes this project a pleasure to read. The collected VIRGIN WOLF will be published by Phoenix Dreams Publishing. 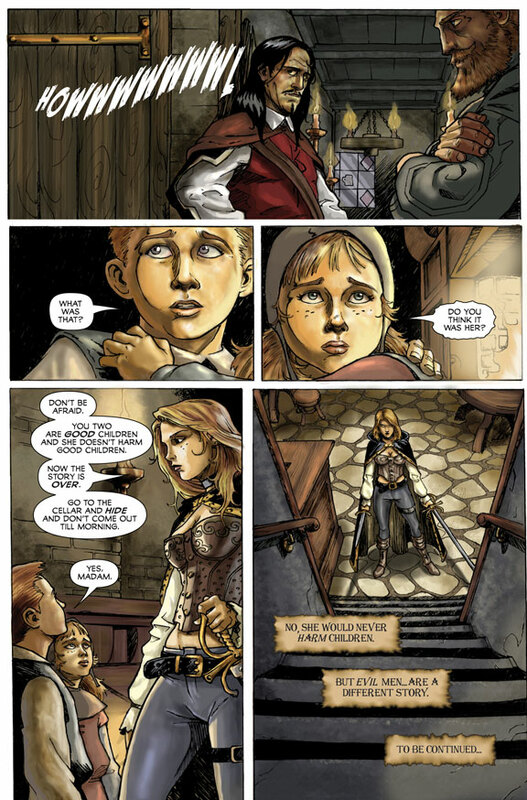 Founded by Noel Burns, Phoenix Dreams Publishing is an indie comic publisher based out of Iowa. As an indie comic publisher, Phoenix Dreams Publishing hopes to help indie artists make a living through their creations and dreams. Be sure to visit the VIRGIN WOLF Kickstarter campaign, on thru June 15th, right here. 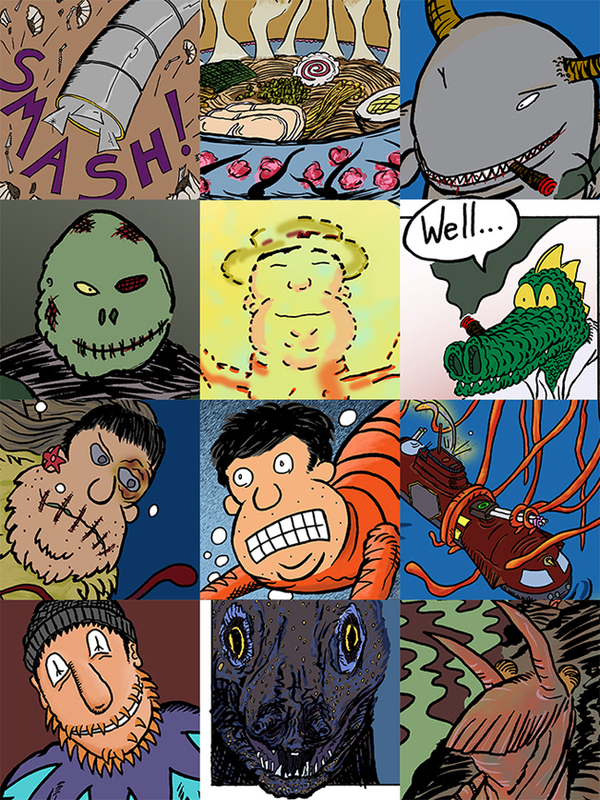 I just reviewed a work by fellow cartoonist Dan Dougherty. And I feel a separate post is in order to let folks know about Dan’s band, On The Off Chance. I have heard their music and this feisty band out of Chicago is a lot of fun! Check out some samples for yourself at the band’s Kickstarter, going on through March 23rd, right here. I am listening to “Payday” as I write this and its rockabilly vibe has put me in a very good mood. This is a band definitely on the rise. Later this year, with a little help from their friends, they will be releasing some very cool music videos that include the talents of Joel Murray (Mad Men), Jim O’Heir (Parks and Recreation) and David Pasquesi (Veep)! And as to the album itself? It’s the best thing we’ve ever made in all of our years as musicians. It’s eleven original songs written by either Dan or Steve, with beautiful harmonies, powerful lyrics, and hooks to spare. The album is already recorded, mixed and mastered at the band’s own expense. The album art is complete and ready to print. The campaign funds go towards printing and shipping this special vinyl edition. As you will see among the reward options, you can choose whatever fits best your musics needs: CD, digital download, or vinyl, plus some other goodies. 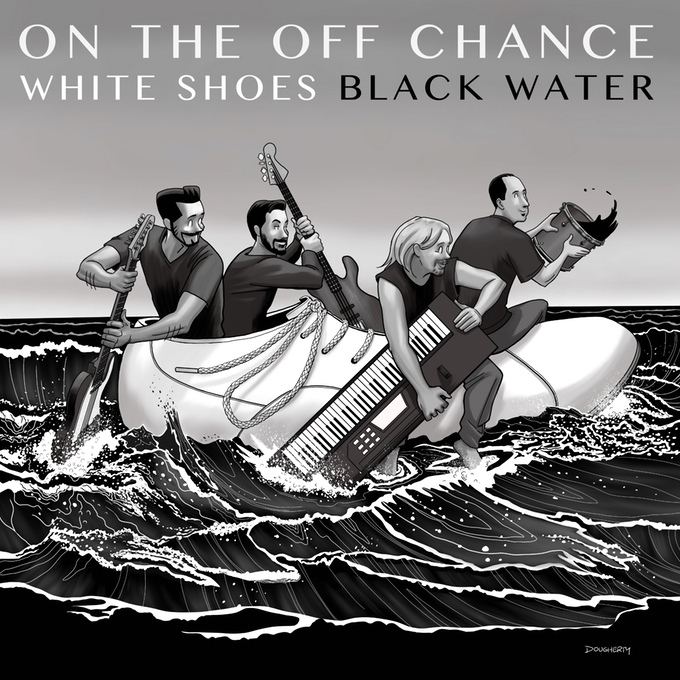 As of today, Dan’s Kickstarter for the debut album of his band, On The Off Chance, has surpassed the $2,000 milestone of its $3,500 goal! This campaign ends on March 23rd. You can support the campaign by visiting right here. 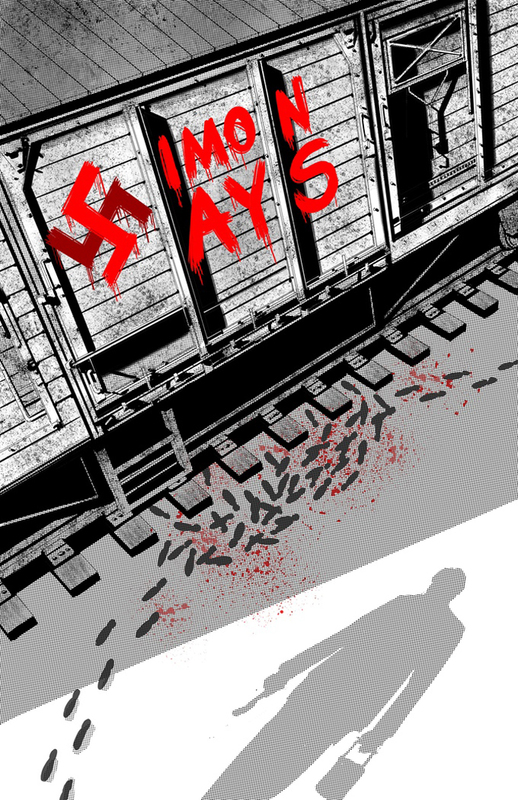 Writer Andre Frattino and illustrator Jesse Lee have a very compelling graphic novel project, SIMON SAYS: NAZI HUNTER, the story of famed Nazi hunter and writer Simon Wiesenthal. 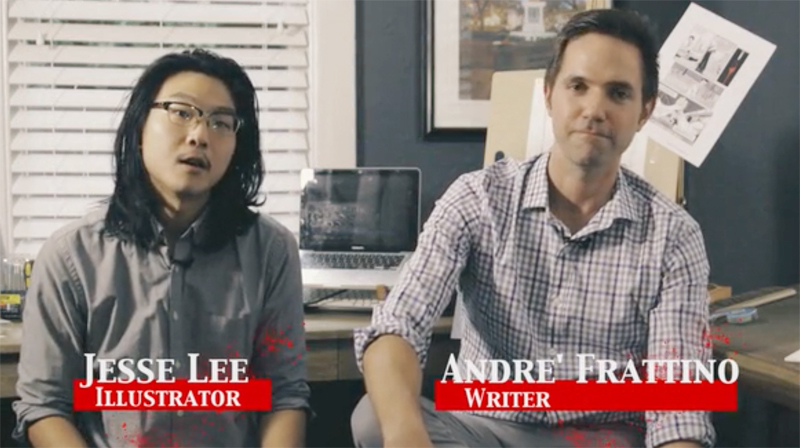 Frattino and Lee seem to have a good handle on the subject. They have the background to tackle such an ambitious project. And, based upon their samples, it looks like it will add up to a riveting narrative. This is inspired by the true story of Holocaust survivor, Simeon Wiesenthal, an artist who lost his family and took justice into his own hands. Wiesenthal was an Austrian architect who survived the Holocaust thanks partly to his artistic skills (he was spared from execution when he was employed to paint swastikas on train cars). After the war, he discovered that he and his wife lost over 80 members of their family. Wiesenthal dedicated the rest of his life to hunting down notorious war criminals including Adolf Eichmann (a chief orchestrator of Hitler’s “Final Solution to the Jewish Question”) and Joseph Mengele (a.k.a. “The Angel of Death” who conducted horrifying experiments on his subjects). While Simon Says: Nazi Hunter #1 is inspired by Simon Wiesenthal, it is not merely a dramatization of his experiences alone. The story takes from many aspects of various Nazi Hunter stories following the war. 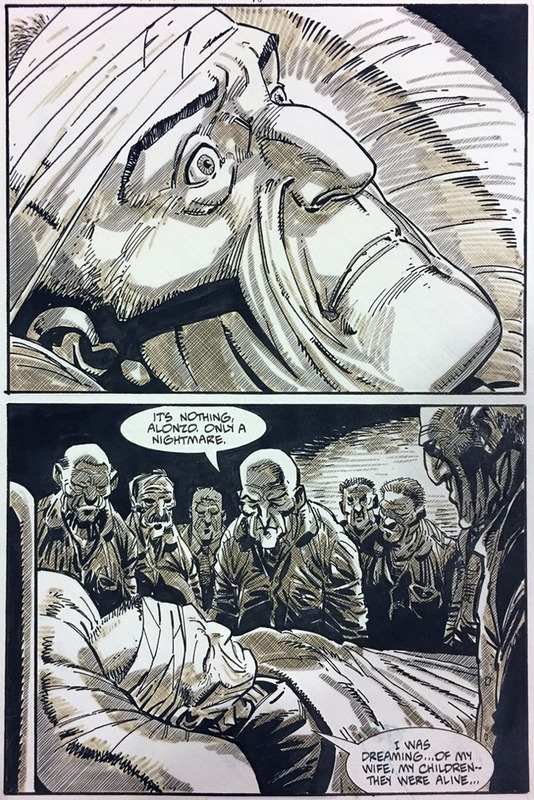 The tone of the comic is a mixture of noir and pulp fiction which was prevalent in the 1950s and 60s. Other influences include Ian Fleming’s James Bond Series as well as such films as Schindler’s List, Inglorious Bastards and TV series like Sherlock and Man in the High Castle. Simon Wiesenthal will always be a quintessential hero. It is exciting to see a graphic novel taking shape about his life and work. A Kickstarter campaign in support of SIMON SAYS: NAZI HUNTER #1 is on now through February 27th to raise funds for the first issue of what will be a full length graphic novel. Visit the campaign right here. 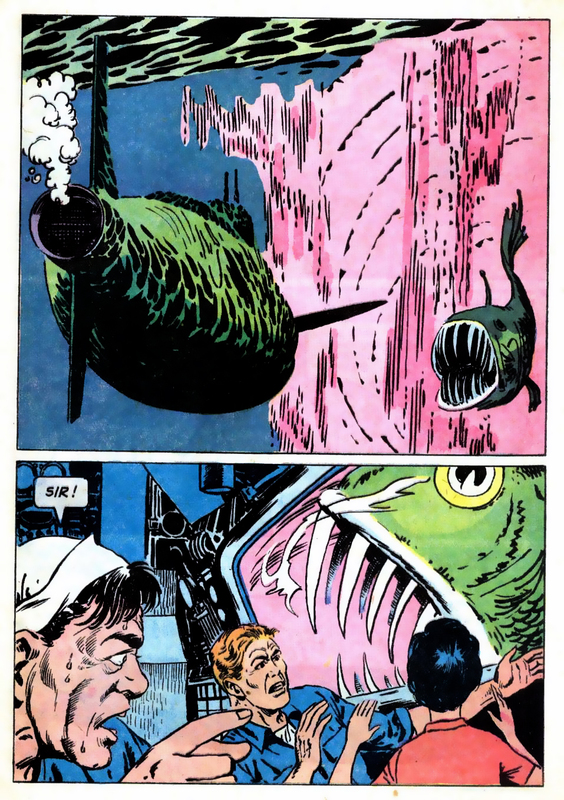 Sam Glanzman’s VOYAGE TO THE DEEP was originally published in 1962 by Dell Comics and has never been reprinted. Drew Ford, known for finding lost gems in comics and bringing them back to print, plans to give this masterwork a well deserved return. This will be the third collection in Ford’s IT’S ALIVE! imprint. A Kickstarter campaign in support of this book is running now through Dec 3rd. You can find it right HERE. Eisner Award nominee Drew Ford, left his position at Dover Publications earlier this year (where he put together over 30 graphic novel collections, one of which was nominated for an Eisner Award: THE PUMA BLUES by Stephen Murphy & Michael Zulli), to launch his own imprint called IT’S ALIVE!, were he will continue his mission of bringing lost and forgotten graphic novels and uncollected comic book runs back into print! 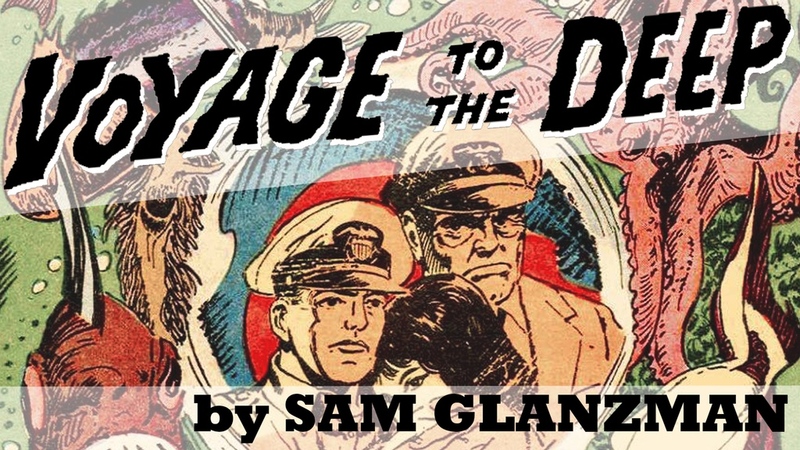 Currently, he is trying to collect (for the first time ever) VOYAGE TO THE DEEP by Sam Glanzman, a series of four interconnected 32 page comics books that have been out of print for almost 55 years! 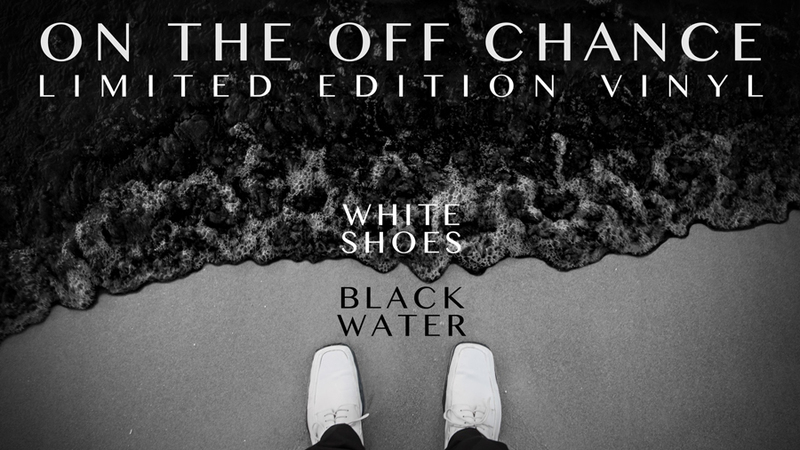 This will be the third collection from his new imprint, and he is raising the funds to do this through Kickstarter. VOYAGE TO THE DEEP follows the adventures of Admiral Jonathan Leigh, as he commands the mighty Proteus (a shape-shifting atomic sub) through the deepest of Earth’s oceans, battling fanged sea creatures, arctic monsters, anti-mater generators, sonic attacks, and even terrorism! The VOYAGE TO THE DEEP Kickstarter page has a handful of incredible Early Bird Specials, which will only last for the first few days of the campaign. 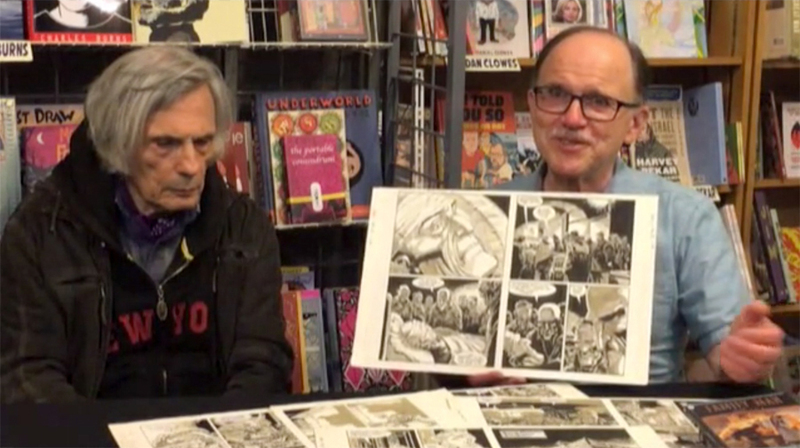 And remember that if you end up becoming a backer, you will not only be helping Sam Glanzman, but you will also be helping Ford to continue his mission of saving the history of comics, one book at a time! Visit the VOYAGE TO THE DEEP Kickstarter campaign running now thru Dec 3rd right HERE. 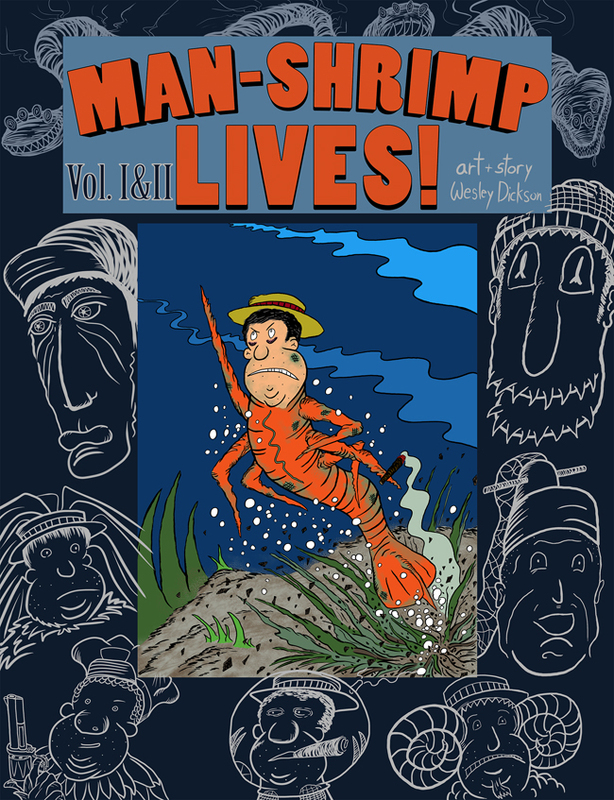 Here is a special review of “Man-Shrimp Lives!” A Kickstarter campaign in support of this 74-page full color graphic novel is going on thru 9/8. You can find it right here. This is a very silly comic on a very twisted existential jag. I have to hand it to writer/artist Wesley Dickson for stoking the fires to his absurd and surreal work. We begin with a Man-Shrimp in search of new souls to eat him in order for him to live through them. One misadventure leads to another as we make our way through the whole animal kingdom. Yes, rest assured, there is also a Man-Gorilla, a Man-Lion, a Man-Giraffe, and so on. Strange creatures, besieged heroes, undersea adventures, ramen noodle soup, and TENTACLES!! This comic truly makes one’s head spin but that’s Dickson’s intention. There are some nice extended moments like a detailed ode to the contents of ramen. And there is a logical plot at play here too. For me, however, I enjoy this comic most in the spirit of the work of such entertainers as Andy Kaufman and Sacha Baron Cohen where the joke or point of the story is elusive or irrelevant. What matters most is that you can’t help but stick around. This is wacky weird fun stuff. I hear Man-Shrimp is pretty good in a nice gumbo. Give it a try. You may come back for seconds. Catch the Kickstarter campaign going on thru 9/8 right here.